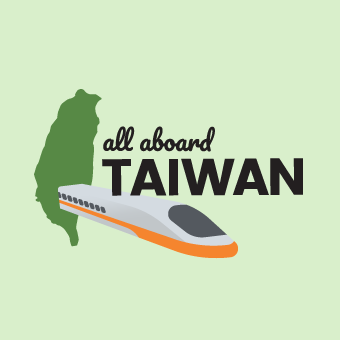 So, you have heard great things about Taiwan’s scenic East Coast, but you are in Taipei and don’t have the time to travel down there by train. A solution is to take a plane to Taitung. In about an hour, you will be there. This is just what I did with some friends. They had to get back to work on Monday, so we made it a weekend trip. We flew Uni Air which is part of the EVA Airways group. The plane leaves from the Songshan Airport in downtown Taipei which makes it super easy if you are in Taipei. Going down, I would suggest trying to get a seat on the right side of the plane to have some great views of the Central Mountain range. A rental car will be a must, so my Taiwan friend made a reservation and they picked us up at the Taitung airport and drove us to the offsite rental agency to get our car. First stop, Taitung Forest Park. This is a wonderful park with miles of bike trails. You can bike to the sea without crossing a street. We then followed highway 9 to the Luye Highland area and our homestay for the night. A treat was waiting for us! Our homestay was Yulaikung B&B, No. 136, Gaotai Rd, Luye, Taiwan. It was exceptional. Located among the pineapple fields with views of the mountains. The hosts were super nice. My friends spoke with them mainly in Chinese, but I believe they speak some English. The hosts recommended a German/Taiwanese couple that serves dinner in their home. We had a wonderful evening of pasta and getting to know each other. Look at this breakfast. Local and healthy! In the morning after an exquisite breakfast at our homestay, we were off to see the views from the Luye Highland. This is where the Taitung hot air balloon festival takes place. During the other times of the year, parents let their kids run around on the grass and there is even grass tobogganing. We came for the view. Amazing views. We came across a small café next to the highland called LaoWang Coffee. A small place owned by a lovely young couple. A great place to relax and see the activity on the big hill that makes up the highland. Coming down from the Luye Highland, across from the tourist information office, is a tea shop with free tasting. The area is known for the red Oolong tea. If you like teas, you owe it to yourself to sample some of the tea. I love the red oolong tea. The current president of Taiwan is in the center. Talking to people, we heard about a success story where an individual wanted to help the farmers sell more of their fruit. He started a natural fruit bar factory and has a store where people can sample the different flavors located on Gaotai Road. Two amazing things about this shop, it is very neat and clean and payment for the frozen fruit bars is done by the honor system. I very much enjoyed being part of this society where an honor system can work. After our fill of tea and snacks, we headed for the rice fields of Chishang. The favorite pastime here is “biking” among the rice fields. I use biking loosely because the bikes are electric and many of them hold four people. You can not find a more picturesque setting with the lush rice fields surrounded by the mountains. All that “biking” works up an appetite, so we headed to Wu Taolunchbox restaurant (No. 259, Zhongxiao Road, Chishang Township). You will recognize it with the 2 railroad cars out front. They have been in business for 70 years and is half tourist attraction and half restaurant. If you haven’t had the traditional railroad lunchbox, this is a good place to try it. Lunch box and tourist attraction. We continue our trip northward up the East Rift Valley on highway 9. We then take highway 30 across the coastal range mountains to the coast and follow the coastal road south. The scenic views continue. No east coast drive would be complete without a stop at the Sanxiantai Arch Bridge. We had a light rain during our visit, but I bet views are amazing at sunrise. We found our homestay which is more like a boutique hotel when we reached the surfing village of Donghe. At Jacaranda House we were greeted with coffee or water overlooking the wonderful views of the ocean. All rooms face the ocean which made them perfect for seeing the sunrise. An evening restaurant that was recommended was run by a Japanese surfer who apparently surfs during the day and cooks in the evening at Yasu. This unusual restaurant has no menu. What you will eat depends on the season and what was caught that day. You tell the owner what you would like, and he replies, “let me think about it” and then you are served the perfect dish. Very cozy outdoor dining with some friendly dogs. I am not sure if English is spoken, so you may need to get out your translator. After a great breakfast at Jacaranda House, we explored around Donghe. The village is old but very neat and orderly. We visited the oldbridge and found what Donghe is famous for – baozi or steamed bun! After our fill of baozi, we checked out and went back up the coastal highway to visit the Amis Folk Center. Apparently, it was the off season since there we no performances on the Sunday we visited. We ended up at Moonlit Café in the visitor center to enjoy the wonderful views of the ocean while enjoying our coffee. Coffee shop with a great view! Since we are on the coast, we all agree we need some seafood for lunch. Travelling toward Taitung we stop at the village of Xiaoyeliu, which by the way is where you catch the ferry to Green Island. We stopped at what is translated to Special Choice Seafood restaurant. I would characterize it as homestyle cooking. Very good and fresh. After the filling lunch we returned the rental car and headed to the Taitung airport for our return to Taipei. We were fortunate to see a glimpse into a beautiful area of Taiwan. I certainly do want to return. My traveling philosophy is to get close to the culture you are visiting which can't happen on a tour bus with a big group. Walk and experience how people in the places you visit go about their everyday lives. Enjoy the sights! Enjoy the food!